Companion planting is an age-old tradition, especially for vegetables. It’s a gardening technique that involves planting two or more plants near each other to derive some type of benefit. That benefit could be more vigorous growth, higher yield, repelling pests, or attracting the predators of common pests. Scientific research doesn’t always agree with the folklore of companion planting, but at the very least it adds diversity in the garden, which itself may cut back on problems. Learning which plants to pair as companions take a bit of trial and error. For example, anise seems to germinate better when grown with coriander, but coriander doesn’t grow well next to anise. Garlic deters Japanese beetles but when planted to close to anything in the pea and bean family it will inhibit their growth. One of the most compelling reasons to use the companion planting technique is the ability of certain plants to attract beneficial insects. Beneficials are insects that feed on common garden pests, like aphids and caterpillars. Beneficial insects are considered the good guys and are why gardeners are cautioned not to spray insecticides at random. Parasitoid wasps feed on aphids, caterpillars, and grubs. Lacewing larvae feed on aphids. Ladybug larvae feed on aphids. Ground beetles feed on ground-dwelling pests. Hoverflies and robber flies feed on many insects, including leafhoppers and caterpillars. Because insects tend to have different feeding requirements during the various stages of their development, a diversity of plant material is essential to attracting them. Although beneficial insects do feast on pest insects, there may be certain points in their life cycles when their diets are confined to nectar and pollen. To attract these insects to your garden, you will need to provide host plants and even plants for shelter. Diversity in both plant material and season of availability are crucial. Hedgerows used to serve this function. The trees, shrubs, and weeds would leaf out sooner in the spring than cultivated crops and provide early food sources. Hedgerows are rare today, but you could easily plant a mixed border of fruiting and flowering trees, shrubs, and perennials that have something in bloom all season. This patchwork of plants would benefit your ornamentals, and planting it near a vegetable garden will ensure beneficial insects on your vegetable crops. 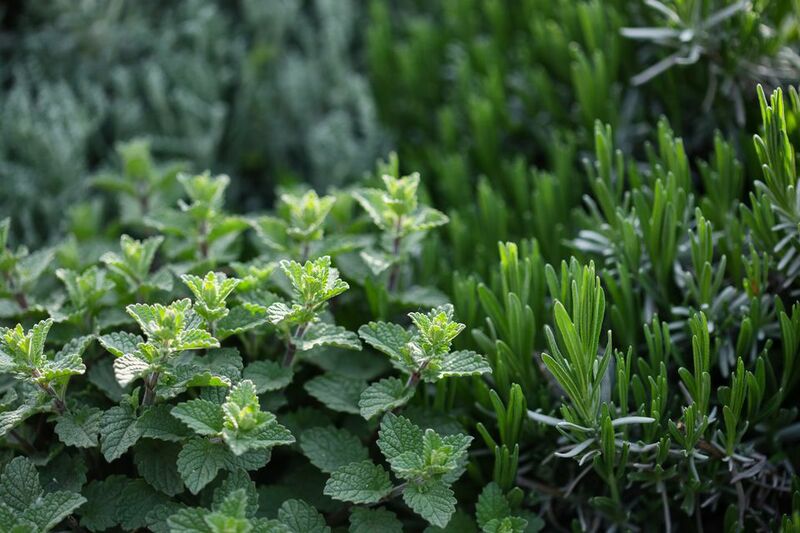 Herbs work especially well as companion plants. They multitask by attracting beneficial insects and repelling pest insects and their fragrance and foliage make them good companions in both the vegetable garden and the ornamental border. The following list is compiled from experience and suggestions. Keep in mind that some things work in conjunction with other factors in the environment and your results might not be the same as mine. However, with some tweaking here and there, you should be able to use plants to keep a better balance in your gardens.